Both deliciously funny and deeply insightful, THE PERFECT GENTLEMAN is a beguiling multi-layered memoir that has touched the hearts of readers all over the world. At the age of one, Imran Ahmad moved from Pakistan to London, growing up torn between his Islamic identity and his desire to embrace the West. Join Imran in his lifelong struggle against corruption and injustice, and as he grapples with some of Life’s most profound questions. What does God do exactly? Do you automatically go to Hell for following the wrong religion? How do you persuade a beautiful woman to become your girlfriend (and would driving a Jaguar XJS help?) Can you maintain a James Bond persona without the vodka, cigarettes and women – even whilst your parents are trying to arrange your marriage? Ah, The Perfect Gentleman sounded, well, perfect for me. I pictured a heartfelt memoir of an identity struggle. The structure that Ahmad uses for his memoir stymied me a bit, though. Most of the chapters were formulated to cover a single school year, often with surprisingly specific memories. This creates a narrative that lacked much of the cohesiveness that I expected and hoped for. Often themes are brought up that seem as if they might be important later in Ahmad’s life, but many of them fail to reappear in any significant way, although the very end of The Perfect Gentleman did tie a few things back together. Ahmad is a good writer, but as occasionally happens with memoir, he and I simply didn’t mesh. 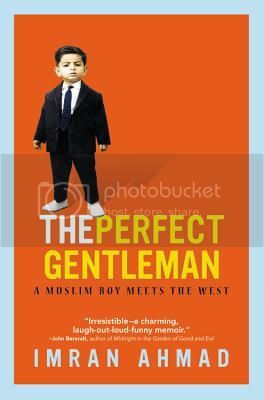 The Perfect Gentleman is not the story I hoped for, and Ahmad’s humor doesn’t do much for me – perhaps I don’t do British humor well in print – although others may find his self-deprecating style charming. I know there is a reader out there perfect for The Perfect Gentleman, but she is not me.